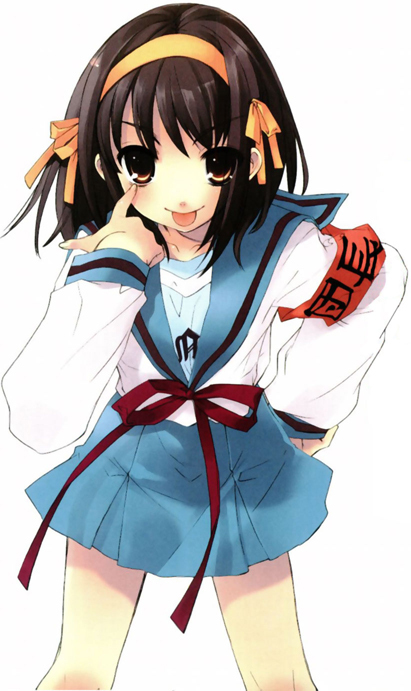 Alright, I succumbed and ordered the collector’s edition of the Melancholy of Haruhi Suzumiya. Once you get past the brain cell killing fumes that escape when you open the box (after comparing those fumes to that of a Sharpie, I prefer the Sharpie), it’s just like what you’d expect of a collector’s box. Lot’s of images covering the box, a little bit of a struggle to get the CD out of it’s own box and the DVD itself was fine. Haruhi’s headband was promptly discarded and promptly chewed upon by a cat. Haruhi and the SOS Brigade landing on North American shores? Unfortunately, it doesn’t say in what form. Could it be the DVDs, some station/network is airing the show, or the novels are being released. 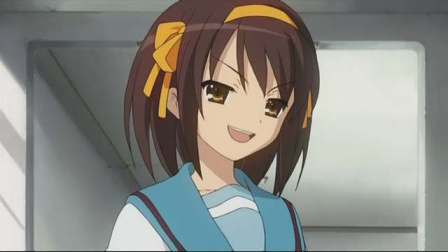 According to Kurogane’s Anime Blog and Anime on my Mind, there’s going to be second season of Haruhi and her merry mayhem. Woohoo!